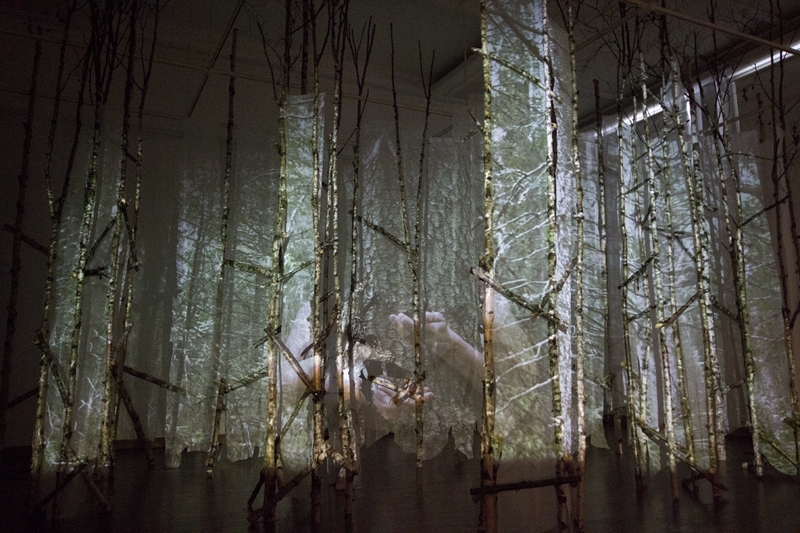 Fusing live performance & video installation, this work contemplates an idyllic boreal forest, its destruction through deforestation and eventual renewal. 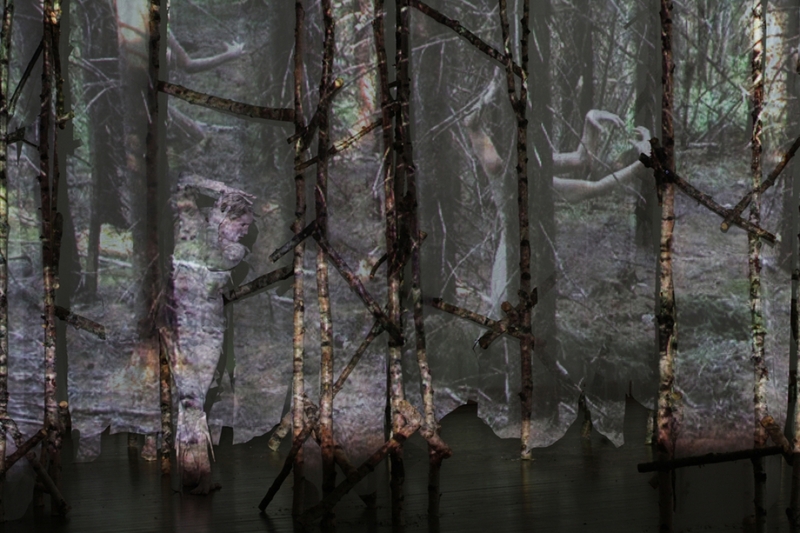 Projected video imagery depicting performance vignettes recorded in Finnish forests and an audio track comprised of chanted poetry and sounds from the environment set the ‘stage’ for the solo performance. 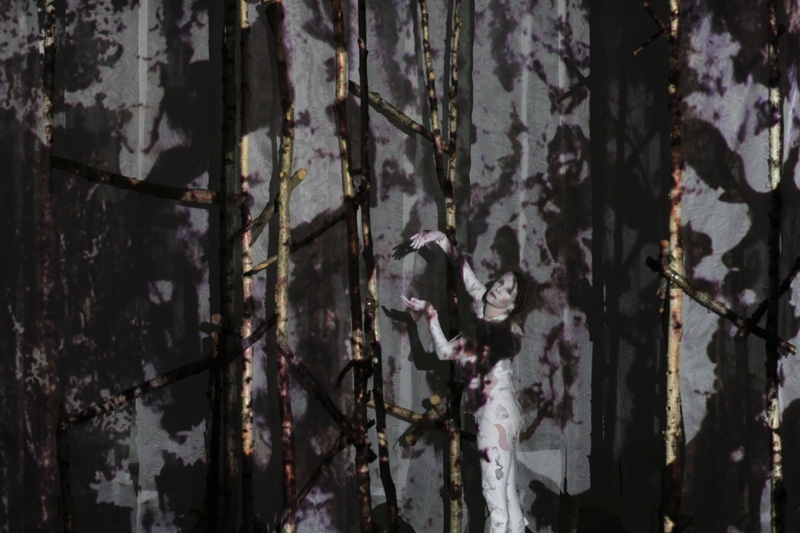 Video is projected onto silk scrims within a constructed installation space and onto the white costume of the performer. 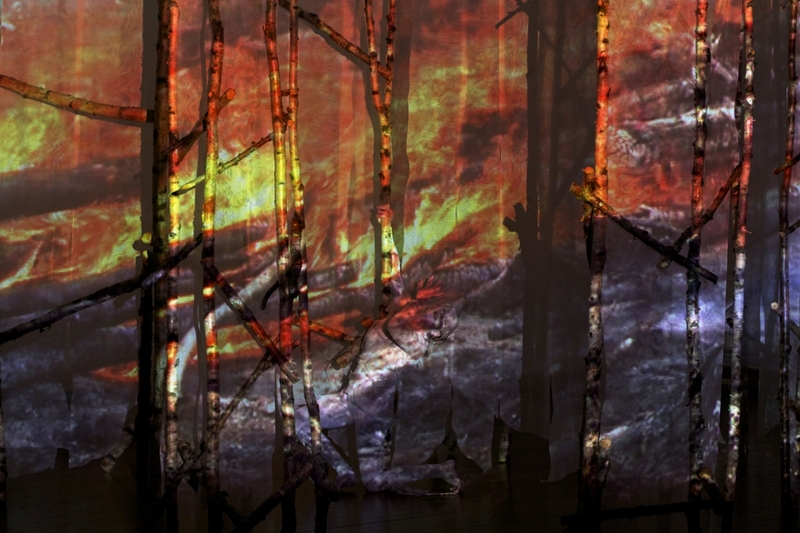 Simultaneous projections of video imagery, sound and live performance create an interactive, metaphoric space. 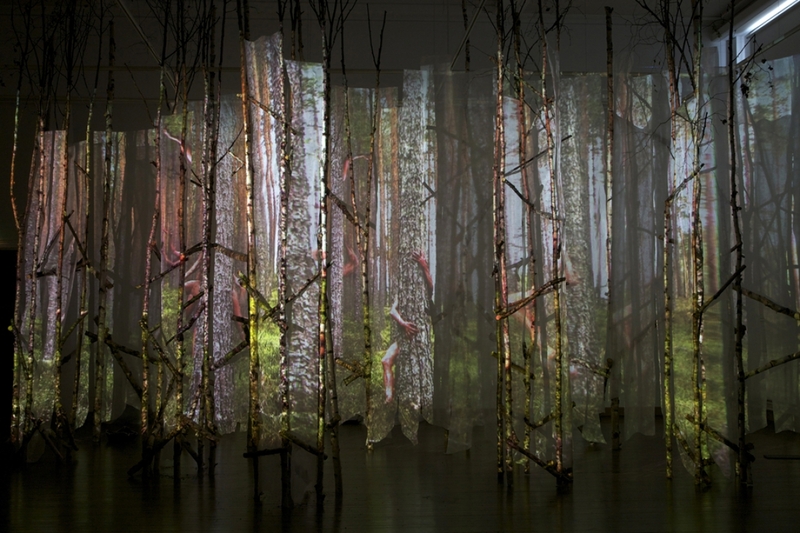 Presented at Ahjo Art Center, Joensuu, Finland, July 21-August 11, 2012. 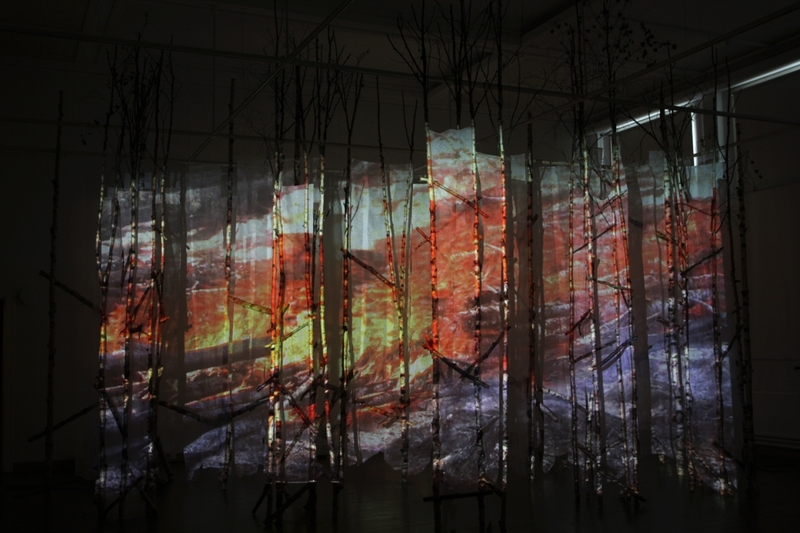 Live performance within the video installation occurred for three hours each day, 5 days a week for three weeks. 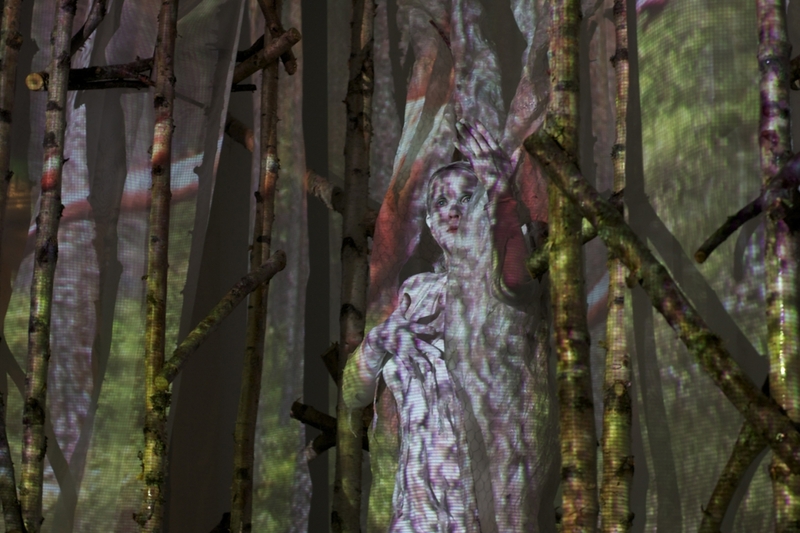 Many thanks to Liisa & Jukka Tommila, Leena Jarva, Stephan Herbers, Yrjö Sepänmaa and the University of Eastern Finland, Finnish Forestry Department and Koli Village, Ahjo Taidekeskus staff. 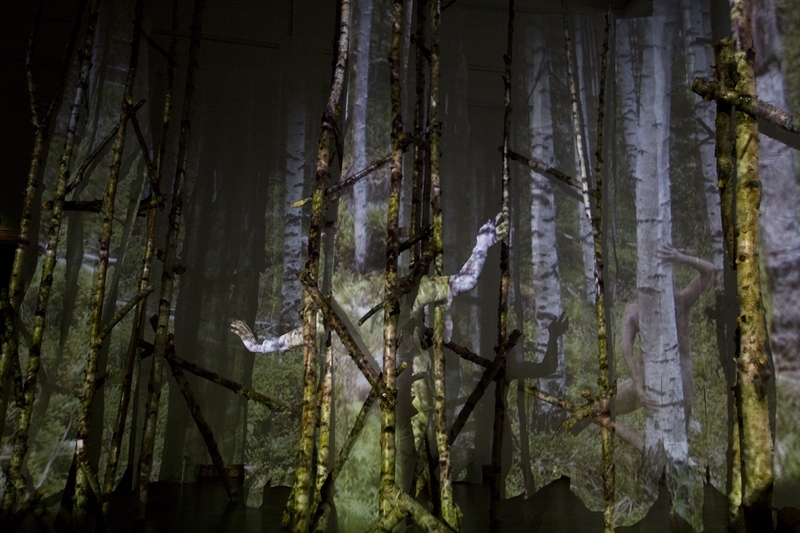 This project was supported by grants from the Finnish Cultural Foundation (North Karelia Fund) and the University of Missouri Research Council. 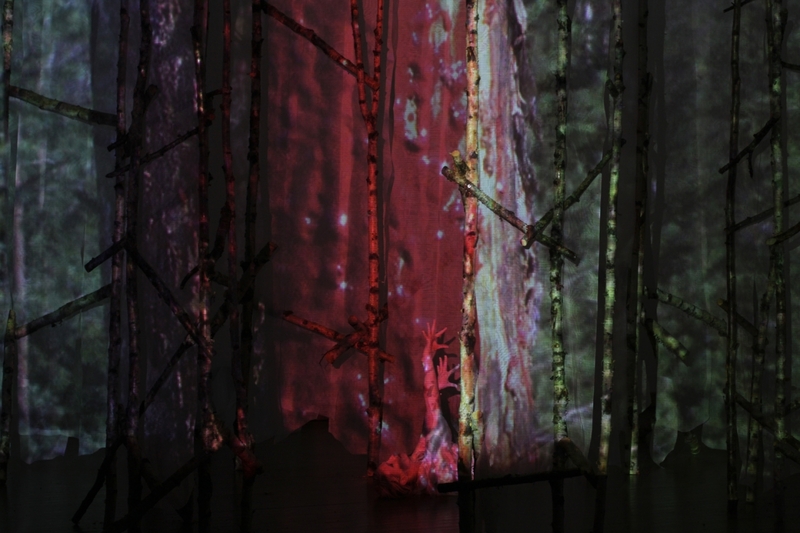 Music by Merja Soria w/ overtone singing by Alexander Khalil.